Your pet’s experience matters to us. Our clients look upon their pets as members of their family. Every member of the Pioneer Pet Hospital veterinary clinic team feel the same way!! We take the time to ensure you receive our best quality of care for your pets in a caring and friendly environment. Pets ARE very important members of the family and as such your trust in us as partners in your pet’s health care is a responsibility we take very seriously. Over 35 years serving Kitchener and surrounding communities. Becoming a new client is easy. Just fill out our new client form, and we’ll contact you to schedule an appointment. We’re excited to meet you and your pet! When we close our doors at night, we still have you and your pet covered – visit our sister clinic Campus Estates Animal Hospital in the event of an emergency. It is our mission to treat each pet as if they are a member of our own family. We practice respect, courtesy, empathy and responsibility on a daily basis. It is these characteristics that set us apart from other clinics as we want your entire experience with Pioneer Pet Hospital to be beneficial to you and your pet. Learn more about the exceptional services that we have to offer. 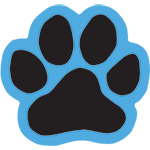 We are located in Kitchener across from Costco, just south of the King St. E and Sportsworld Drive intersection, look for the little blue house with the BIG paw prints on the front! © 2019 Pioneer Pet Hospital.